The Yankees eschew clown-mascots. 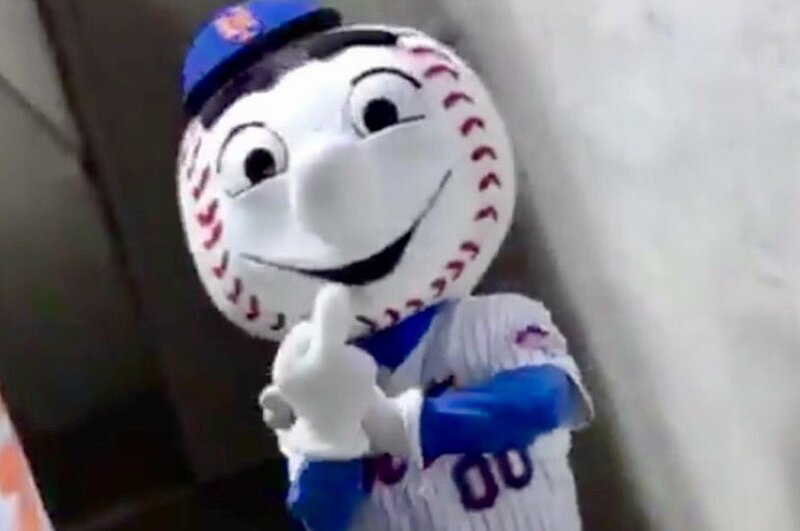 The Mets’ mascot is Mr. Mets, addressed as Mr., presumably, because it dignifies the mascot; a mascot most famous for giving the finger to his fans. With a smile, of course. He was not fired for this, of course. It is noteworthy that his actions were provoked by merciless taunting from…Met fans,2 who insulted Mr. Mets’ mother (the Mascot’s mother!! And the actor in the mascot suit took personal offense?!). The press noted that Mr. Mets was not, technically, giving the middle finger, as he only has 4 fingers. The Yankees wear banker pinstripes. No garish colors, or any color, here. No gaudy script across the chest to announce who they are. 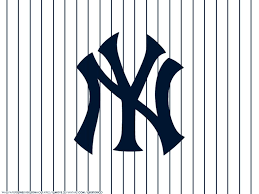 Just the simple Yankee logo, known worldwide; no further identification necessary. The Mets are bedecked with the colors, blue and orange, of the two teams, the Dodgers and Giants, that fled New York for greener fields of green, and whose departure left festering scabs of disappointment, loss and despair on their New York fans. The Mets keep fresh the scabs of disappointment, loss and despair in the colors that garb them, their play on the field, and the ineptitude of their boardroom. The Yankees are admired. Fans aspire to be Yankees. No such distance separates fans and team for the Mets. The Mets are us—failure, foibles, follies and all. Fans love the Mets. I love baseball, and love it for many, many reasons. One is because it is a morality play, where good and evil engage in mortal combat. There is a clear winner, a clear loser, and the outcome uncluttered by ambiguity. However, what makes baseball (and other sports) maddening, and despairing, is that good does not always triumph. No guarantees of victory by the righteous are issued in the sphere of baseball; it is not a Panglossian “Best of All Possible Worlds”. 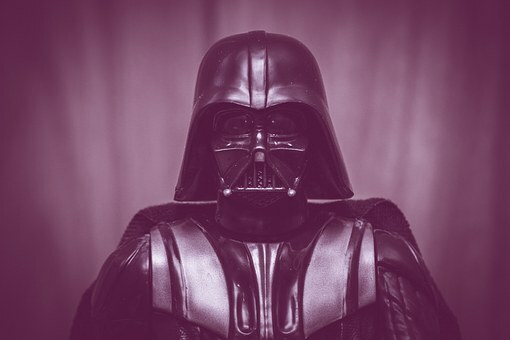 Indeed not, as the unrivaled success of that most evil of empires, the Yankees, attests. Since I have retired, I have undertaken an odyssey to visit all the baseball parks. My compulsion is not simply to see the parks, but to embark on anthropological journeys into exotic subcultures, each with their own unique architecture, food, attire, rituals, rites, heroes, history, emblems, songs and settings. And fans. The Mets fans are fierce and tribal. Foreigners, especially National League East coasters from the competing divisional tribes, are greeted as invaders, and met with intimidation, jeering, taunting, vociferous challenges to their parental origins and legitimacy, and symbolic—and not so symbolic— threats. Warriors, asserting territorial sovereignty and protecting the sacred turf of home. I visited the Mets stadium in the midst of a pennant race, at a game pitting the first place Washington Nationals against the beloved second place Mets. At stake was first place, and it was August, when standings and games get serious. 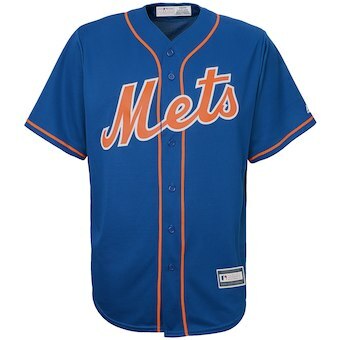 I traveled to the stadium on the 7 train, crowed with boisterous, noisy Mets fans dressed in team shirts, hats, and the jerseys of beloved heroes. 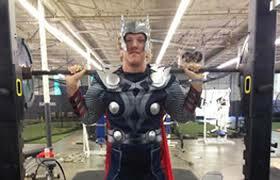 One of the most popular heroes is a current player, Noah Syndergaard, who dressed himself up as Thor, cape and all, and tweeted a picture of himself doing power swats. When I exited the 7 train, I walked a gauntlet of alcohol addled young men, shouting, dancing, posturing, posing, joking, and laughing; greeting the arriving throng with beer-can salutes and profanity laced exhortations. It was immediately clear: “You are not in Kansas anymore, Dorothy”! Or St. Louis. The highlight (or lowlight) of my visit occurred before the game even began. 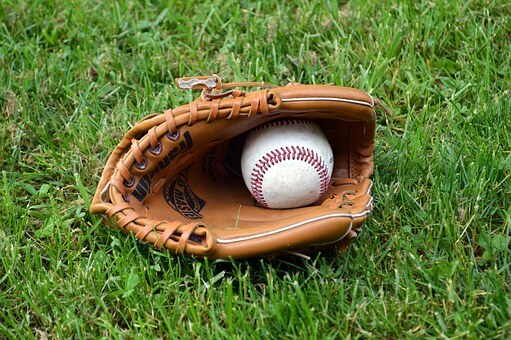 A physically disabled boy was given the honor of throwing out the ceremonial “first pitch”. He was positioned about 30 feet from home with the Mets catcher poised behind the plate to receive his toss. The child gave a mighty effort and the ball bounced several times before reaching the catcher. Immediately, instinctually, reflexively, in herd-unison, the stadium erupted in a loud chorus… of boos! I was dumbfounded and paralyzed between laughing hysterically at the absolute absurdity of what had just happened, and horror at what had just happened. As an experienced field researcher, I can offer this advice to any intrepid traveler who may plan to risk a visit to this most volatile tribe: Don’t wear pinstripes. Never volunteer to throw out the first pitch. The Mets owner lost his shirt, and almost the franchise, investing with his trusted financial advisor and pal, Bernie Madoff. He also lost another shirt, and almost the franchise, again, in a messy divorce, and his dealings as an owner can charitably be characterized as a mess. Who, really, taunts their own mascot?! Well, Philadelphia fans, but that’s another story. Great posting! I hope no Mets find read this….you may be on someone’s hit list! Loved the George Carlin bit too! Hooray for summer and baseball! Thanks Bill, and I am also concerned about the hit list. We have family in NYC; most are Yankee fans, some are Mets fans, and they are all dangerous when it comes to baseball loyalty. I am worried about both sets of family/fans after this post.